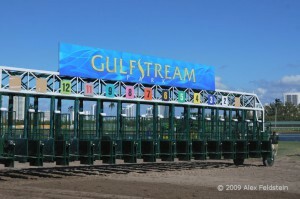 Speed bias horseplayers must be thrilled Gulfstream Park’s main track is playing as true as ever six weeks into the 2011-12 meeting that began a month earlier than usual. Of the first 53 races at six furlongs through Jan. 15, wire-to-wire winners were 30 percent, according to Brisnet.com. Last season, 27 percent of the 45 horses victorious at that distance scored on the front end. In 50 contests at a mile on the main track from Dec. 3 through Jan. 15, Brisnet.com reported, 16 percent of the winners led at every call. That’s slightly lower than the previous Gulfstream meeting that ended last April when 20 percent of the first 50 triumphant thoroughbreds won gate to wire. There has been a continuing argument through the years about the lovely South Florida facility and whether a speed bias really exists. Well, I know it has since the mid-90s because I’ve studied the figures. Some trainers have claimed the main dirt surface has been souped up to favor frontrunners. Souped up? Naw! The main track has been refurbished and expanded in recent times, but has always favored speedsters, especially in sprints and short routes over the long haul. Back in ’09 horses that led all the way at six furlongs captured 35 percent of the 112 races. That was after the main track was renovated in ’05, when frontrunners won 38 percent at six furlongs compared to 36 percent the previous year. For a brief span, the renovated main course played a bit differently during the early portion of the ’05 meeting after the surface was redone and the track was enlarged to 1 1/8 miles. But by the first week in February, pacesetters still won 30 percent of 50 races at six furlongs while the average was lower in other sprints. 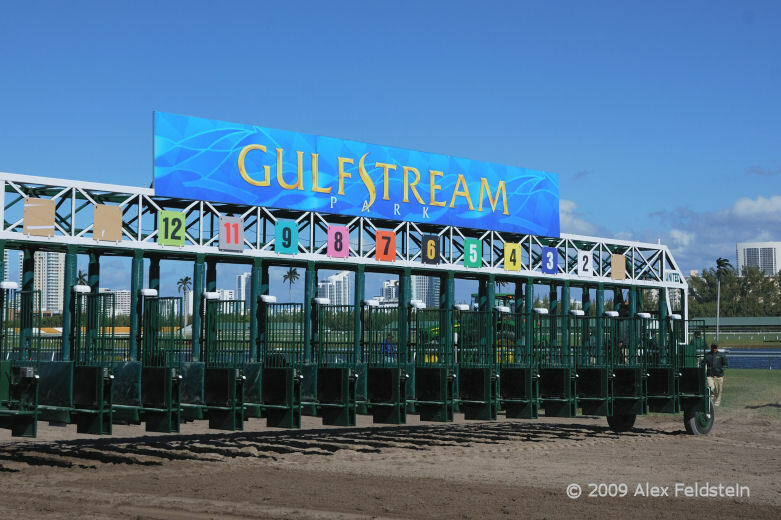 Gulfstream’s main track until then was comprised of 85½ percent sand and 14½ percent clay, with a 3 ¾-inch sandy cushion. However, the cushion that was once supported by a 3-inch sand/clay pad was replaced with a 7-inch pad of the same material. And the once 10-inch clay/silt/sand base on top of a 6-inch lime rock/sand mixture was switched to a 12-inch sand base on top of 8 inches of road rock. Don’t get me wrong, speed bias can change from race to race or week to week. For example, 23 horses that won at 1 1/16 miles at Gulfstream from Dec. 3 through Jan. 8 went all the way 23 percent. However, through Jan. 15 the wire jobs jumped to 35 percent in 17 races at the distance. Longer dirt races over the years have usually gone to runners coming off the pace. In ’05, front-runners at 1 1/8 miles won 29 percent of 65 races. However, only 14 percent of 42 winners led all the way in ’06.